While sales brochures mention cost savings, elasticity, scalability, load “bursting and storage on demand as the main benefits of cloud computing, it’s only after agreements are signed with third-party services and the systems and processes are implemented that other benefits emerge. Here are the unexpected cloud computing benefits many companies have experienced. One of these benefits is flexibility. Among large companies and entrepreneurs, it’s safe to say that the pursuit of new ideas is often held back due to lack of time and money. But with cloud computing, if a company wants to design and test a new product line, they can use on-demand cloud resources to test new configurations within hours or minutes. This saves the company time and money as users are only charged for the amount of time they use the cloud. Entrepreneurs know that innovation springs from constant experimentation. One has to keep trying new ideas and be willing to fail. With on-demand cloud resources, a company can try out new ideas without having to spend a lot of money on supporting systems. When your business focus shifts, on cloud computing can support it and make the transition happen more smoothly and quickly. Another benefit of cloud computing presents itself during company mergers and acquisitions. When it comes to mergers and acquisitions, one of the great sticking points is the amount of time and resources involved in bringing data and records from one system over to another. This isn’t just a problem in the private sector. Government agencies experience this problem too when agencies or departments are consolidated, with many workers manually coding information from one system into another. 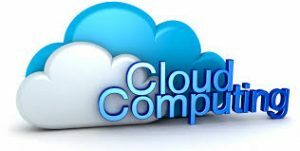 But with cloud computing, and provided both entities are in the cloud system, the transition is much faster with end-users able to quickly access cloud-based systems. Because cloud services are based on the collective learning and input of customers, companies have the ability to duplicate and adopt successful business processes others have hashed out. When your company uses cloud services, your company has access to the processes, formulas, and interfaces that have already been tested and proven to deliver the best business results. There’s a saying that “the one who dies with the most toys wins.” In today’s hyper-competitive global economy, the organizations with the most leverage are often the ones with the latest technology resources. Organizations like these have only gotten there under the leadership and guidance of their CIOs, CTOs and technology leaders. Tying up these professionals with overseeing maintenance on in-house IT systems is a waste of their time. An IT executives’ time is better spent thinking and acting strategically, providing the company with insights needed to select the right technology resources for the business – from the corporate data center to outside service provider. Cloud computing frees up IT executives and makes this possible. Finally, cloud computing allows your company to establish online services for your internal users as well as those outside your firewalls, namely your customers. For example, with cloud computing, UPS and FedEx customers can take advantage of tracking and logistics applications to track their packages and shipments. Tools from VMware or OpenStack can help. Here at WheelHouse Solutions, we understand that your company’s proprietary data is important, which is why we have trained staff available 24/7/365, to ensure your data is safe and secure, in the cloud. Our team takes full responsibility for the performance, security, availability, and cost of your cloud hosting. We will work with you to determine the most cost-effective and reliable cloud hosting option available, and provide best-in-class support for your cloud hosting environment. Click here or call us at 314-492-2506 to speak with one of our knowledgeable staff. We have provided cloud services to hundreds of business across the country, allowing them to reduce costs while still enjoying the latest and greatest software – seamlessly delivered through the cloud.